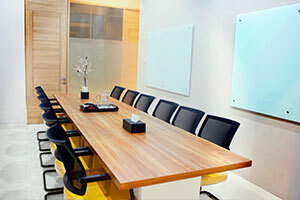 Meeting rooms or meeting rooms have functions and roles that are very important for a business or company. From a meeting to a non-formal event the company can be held in this room. Meeting space needs of a company to be one of the main priorities and relied upon for various vital activities, but due to the many requests, time and limitations of the company, not least the needs of the use of space is not comparable with the number of rooms owned. Therefore, today many companies are relying more on meeting room rental services for their office needs. From the room with large to small capacity much in demand, depending on the aspect of his needs. If you are a businessman or own a company and need a meeting room rental service, here are some tips for choosing meeting room rental. To select the appropriate meeting room rental, it is recommended that we calculate the cost incurred later. As the room rental price is usually determined in accordance with the hour (hourly / hourly), adjust the price with your meeting needs with the budget to be issued by the company. With the calculation of time and cost we can also predict the existence of additional costs. Therefore, do not forget to ask if there are other costs in use. If your Company takes a long time to rent, it is also advisable to inquire about available meeting room packages. In addition to more economical prices there are usually some items provided facilities. It is no less important is the location selection. Areas that are not strategic will be very difficult to search, let alone see traffic conditions that can not be predicted, jammed and smoothly. It would be nice, we also consider the distance between the office and the location of the lease. The closer the better. 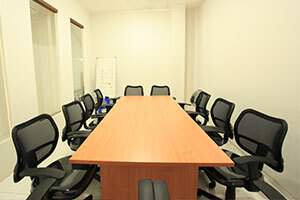 Supported meeting room with complete facilities and adequate later will be very helpful meeting activities. However, consideration of the needs of the room should also be considered. If the room is only intended as a daily meeting or regular meeting with a short time, maybe you do not also need a lot of facilities. Usually meeting space is widely used with various functions. As a room that can also be useful for other activities, then we must also consider the number of participants meeting and type of meeting activities to be held. Try to find the appropriate room / larger to avoid over the number of participants. Almost the same as the 4th point, some style of Interior and arrangement in the meeting room also affect the use of multi-function meeting room. Flexible meeting room means linen, furniture and furniture should also be dynamic. If you want to use meeting space in different themes and participants, the rental meeting room that provides such a concept is worth choosing.